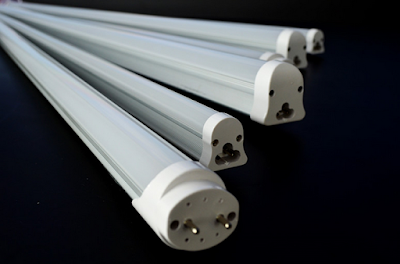 It is an energy-efficient era,I believe that every family are using LED tubes.But if you know one of the materials to make LED lamps is aluminum. Different from the traditional lighting LED lamps, generally have a very obvious sign:heat sink . Not because the LED temperature is high need for cooling. On the contrary, it is because LED is a cold light source, the chip was “afraid of the heat,” only to do the heat, so he can work safely. LED lamp kit material mainly in the following three kinds: aluminum tube; glass tube; plastic tube. The best heat dissipation of them is aluminum tube. Now many manufacturers of high-power LED heat sink cooling housing application basic using different aluminum alloy material, its thermal conductivity varies, cooling rate of some materials can not meet the LED operating conditions. It can not be ignored aluminum plate and thermal silica, thermal grease material aspects, the actual life quality of materials used, will directly affect the work of LED cooling conditions.